“And, in this corner, Jerry Piddington” . . . was the title of an article written about Mr. Piddington in the 1974 issue of Karate Illustrated which he appeared on the cover. Mr. Piddington was described in that article by his fellow karateka as one crazy dude, an animal, and a crazy animal that you needed a chair and a whip to fight. A lifelong rebel who purportedly won one match by flustering his opponent with a kiss, Mr. Piddington is still turning heads with his long hair and bushy beard, which earned him the nickname — The Untamed Lion. 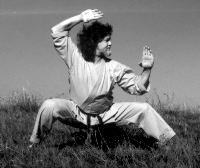 As a pioneer of American Sport Karate, Jerry Piddington traveled all over the country placing and/or winning every major tournament in the United States from 1972 to 1976, not only in fighting, but in kata competitions as well. 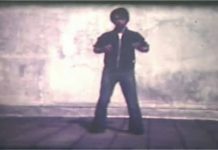 Mr. Piddington faced off against some of the top tournament competitors of the 1970’s — including Joe Lewis, John Natividad, Darnell Garcia, Bob Allegria, Steve Sanders, Jay T. Will, Artis Simmons, Joe Corley, Byong Yu, Ken Knudson, Everett Eddy, Roger Greene, Reily Hawkins, Jack Motley, Vic Guerro, Jeff Smith, and Pat Johnson — just to name a few. 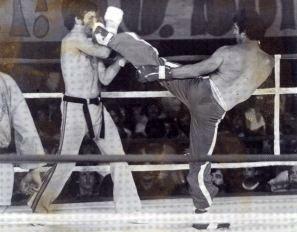 He began his competitive career in 1969, winning the Four Seasons Karate Championships as a brown belt. 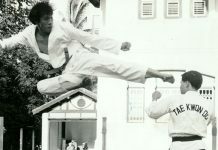 He later captained the five-man team which triumphed over the highly successful Chuck-Norris led team at the 1974 International Karate Championships in Long Beach, California. Mr. Piddington held a long list of titles over the years and in 1973 was rated #9 in the USA and # 1 in the Southeast by the Black Belt Yearbook and #12 in the USA by Professional Karate Magazine. Mr. Piddington is still punching and kicking! He recently participated in the Canada AM Championships and helped the American team defeat the Canadian team by scoring the winning point. Mr. Piddington remembers some of his injuries, including a broken thumb at the U.S. Team Championships in Long Beach, California, a broken jaw at Kang Rhee’s Nationals in Memphis, Tennessee, and a broken leg at the 1973 Grand Nationals in Anderson, Indiana. Jerry PiddingtonMr. 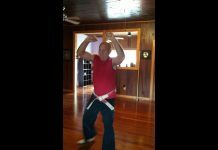 Piddington has a martial arts career that spans four decades and has studied with some of the most famous martial artists in the world. His first teacher was Caylor Atkins, a shotokan stylist. Mr. Piddington received his first black belt from Tom Crites in Shorin-ryu. Continuing his career, Mr. Piddington trained in Hawaiian Kenpo with Michael Stone, Japanese Goju-ryu with Chris Armstrong, Kempo with Ed Parker, and Shorin-ryu with Master Tadashi Yamashita. 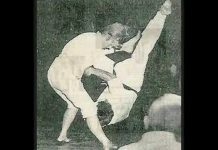 Mr. Piddington was also a student and friend of Robert Trias, father of American Karate. Grandmaster Robert A. Trias took notice of Mr. Piddington and invited him to create his own style. On May 2, 1972, Mr. Piddington was declared the Headmaster and founder of American Open Style Karate under the USKA sanctified charter, established by Master Trias, which was internationally ratified on May 30th, 1975. 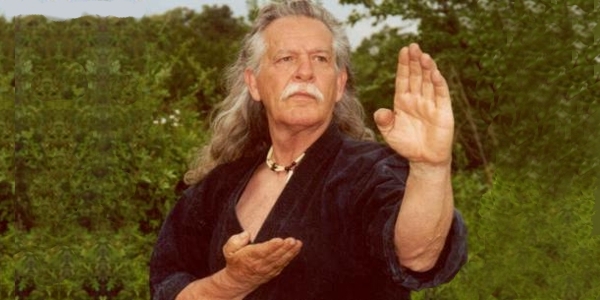 In February 2000, Mr. Piddington was declared Headmaster of American Shorei/Shorin Karate by Hanshi John Pachivas, Grandmaster of Shuri-ryu Karatedo, and was awarded his 9th degree black belt. Hanshi Piddington is an actor in live theatre and stage combat. 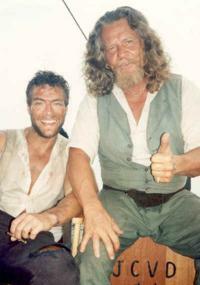 He is a fight Jerry Piddingtonchoreographer and stunt man with several movie credits including Killer Inside Me, A Reason to Kill, Night Realm, The Quest, starring Jean-Claude Van Damme and Roger Moore, and Bloodsport II, starring Daniel Bernhardt, Pat Morita and James Hong. In the 1970’s, Mr. Piddington was one of the four promoters of Mike Stone’s Four Seasons National Tournaments, along with Algene Caraulia, Pat Burleson, and Mike Stone. Mr. Piddington pioneered kickboxing on the East Coast by promoting five major kickboxing title fights in Charlotte, North Carolina. 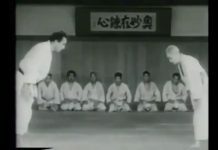 He was co-writer with Joe Corley, establishing the rules for the Professional Karate Association (PKA), which is documented in the 1974 issue of Sports Illustrated. As founder of the National Karate Association (NKA), Mr. Piddington promoted the first eleven-round world title kickboxing match, with Jeff Smith winning a decision over Keith Haflick for the 1977 Light Heavy Weight Championship of the World. Also under the NKA sanction, Mr. Piddington promoted the first World Tag Team Kickboxing Championships with the Gold Dust Twins, Ricky and Randy Smith defeating Dale Cook’s double pro team from Tulsa, Oklahoma, considered by many as some of the best kickboxing action to this date. Mr. Piddington was founder of The Charlotte Warhawks, an undefeated five-man kickboxing team that included some of his most notable fighters — Danny McCall, Keith Haflick, Jimmy Horsley, Ricky Smith, and Randy Smith. The team was coached by Danny Wilson and managed by Gene Smith. Jerry Piddington currently resides in Oregon with his wife, Eva Marie, and continues to teach his art form of American Open Style Karate. He is an avid fisherman, hunter, and loves adventure seeking such as high diving and extreme water sports. He has four children and four grandchildren. Mr. Piddington not only demonstrates the fighting spirit of a lion, but also the heart of a lion, by working full-time with kids who are educationally and physically challenged with ADD, ADDHD, dyslexia, and alcohol syndrome, autism, etc. Hanshi Piddington believes that the aesthetic value of martial arts can absolutely help kids by giving them a way of life. 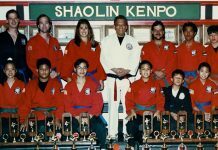 He is the founder of American Karate Academies National Association (AKANA) and travels across the United States conducting Black Belt tests for his AKANA schools. He is currently available to conduct symposiums, seminars, or clinics to help improve any schools’ martial arts endeavors.